The only call you'll have to make! The power companies are a monopoly. Modern technology and conveniences have made us more dependent on power providers. Power grid improvements have not even begun to keep up with demand. Even if global warming is not real, changing weather patterns are. 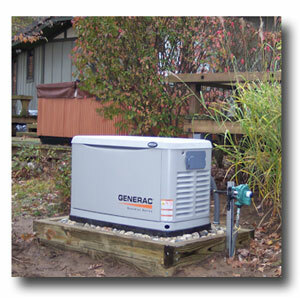 Owning a Standby Generator can be a necessity or a luxury or both. It depends on how many of your neighbors have them and how well you get along with them. The degree of any emergency or inconvenience is controlled by the amount of preparation. 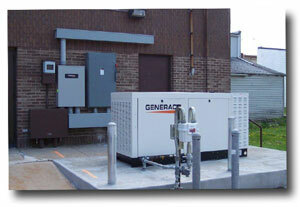 Bullard Brothers, Inc. can offer a preparedness solution for any power interruption scenario. The team at Bullard Brothers, Inc. has been providing generator sales, service and maintenance solutions to thousands of satisfied customers for over fifteen years. This experience enables us to ensure that your needs are met in the most efficient and cost effective ways. At Bullard Brothers, we know that every application is unique and yours is no exception. One size does not fit all. 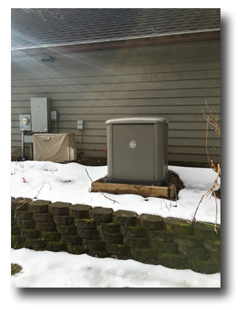 One installation method does not necessarily work everywhere, and one generator manufacturer can’t possibly accommodate every situation. For this reason, we have sought to build relationships with generator manufacturers that we feel can best supply our customer’s needs. Our goal is to provide a solution that is just right for you. 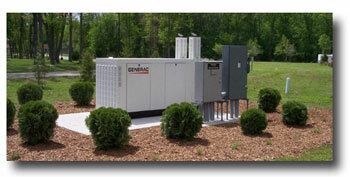 We require our entire sales team to be well versed in every aspect of generator installation and service. Your salesperson may well be one of the installers. We offer a “no charge” initial visit to look over the possibilities and discuss the process and any, and all available options. This, will be followed by a detailed estimate for you to evaluate and compare. 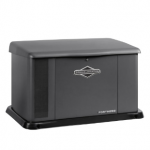 Our main lineup of standby generators are manufactured by Briggs & Stratton, a familiar name in engines and power equipment for over 100 years. 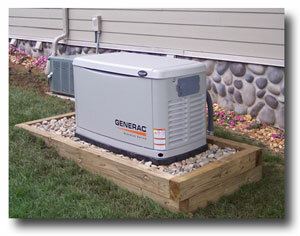 Their name represents quality and reliability and they back their standby generator products with warranties unmatched anywhere in the business. 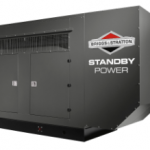 As a full service, Briggs & Stratton Standby Generator Dealer we can offer a full range of standby generators from 8KW to 60KW in the home standby category, and 80KW to 200KW for our commercial customers with larger standby power needs. 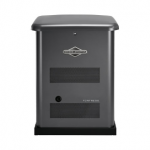 Our Dealer status also allows us to offer the exclusive FORTRESS™ line of Briggs & Stratton Standby Generators, which include a 6-Year, parts, labor, and travel warranty for home standby generators and a 3-Year, parts, labor, and travel warranty for commercial models. Both warranties are the best in the industry. The FORTRESS™ lineup also comes with a cold weather kit factory installed to provide added protection in chilly Michigan winters. (Please see our Specification Pages to the right for more information). With over 2,000 installations, and counting, Bullard Brothers can provide the professionalism and excellence you expect. 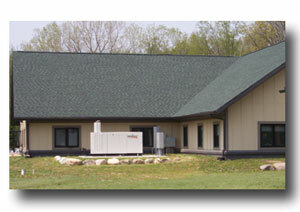 All of the solutions that Bullard Brothers offer are custom designed. Our “turnkey” installation services include: site preparation, delivery and placement, electrical and gas hook-up, customer familiarization, and all necessary permits. While we can’t guarantee you’ll “never know we were there”, most residential installations can be completed in one day. And, we install all year round! Call 1-877-257-6337 today for a free in home estimate. 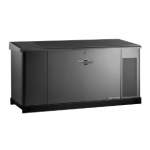 Standby Emergency Power Systems are a big investment and, above all else, we want you to be happy with your purchase. Manufacturer warranties of 4 and 5 years are standard for our systems and now we offer the Briggs & Stratton FORTRESS™ lineup which carries a 6-year warranty on home standby models. Should the need ever arise, our factory trained and certified technicians are available 24/7 for emergency repairs and warranty service. We also offer scheduled routine preventative maintenance services to ensure that your generator system will always do what the salesperson told you it would. And…, our blanket of repair and maintenance services is not limited to equipment purchased from us. We are also affiliated with wholesalers and other installation contractors to make sure their customers stay happy, too. Call us today to be added to our automated Routine Preventative Maintenance Schedule.